These are some cute ideas that I had from having lots of extra Mason Jar lids. If you don't have any lids laying around, don't worry. You can find a box of 24 (both lids-12 and rings-12) at Walmart for around $2.50. First I simply just laid them out on and gave them a base coat of red in Rustoleum spray paint. And then I took a can of white spray paint and did the speckle effect. I do this by just barely putting any pressure at all on the spray nozzle and just holding it there. It will finally start to spit and spray and soon little specks of white paint will fly out like snow. Just hold the can over what you want to spray and let it spit. It looks cool! Some of them, I just sprayed them white and then re-speckled the white again. Leaving out all red. Just to make some different. Then I took out my large Mason Jar stamp I got from eBay. Dabbed it in black ink and while holding the lid in my hand, stamped it on. I had to keep it in my hand so that I could apply the pressure evenly from the back of the lid. Laying them on hard surfaces didn't work too good for me. Notice not all of the center was stamping great on them. So that's where I started pressing harder from the back. And after letting them sit and dry for about a good hour, because of the ink. I went and attached a round magnet, size 3/4" (19mm diameter) that I got from Walmart. A package of 52 costed like $3 or so. They have a really good strong hold. I do not recommend those peel and stick strips for things like this. The glue I used is called E-6000 and it forms a very strong hold! I use if for most everything. Here are some more pics of them done. These were the large mouth lids, if I forgot to mention that. That's why I used such a large stamp. I also have a smaller stamp that I am going to make the regular mouth lid magnets with also. I just have to go find it now. lol. I listed a few "buy it now's" on eBay here for $9.99 with free shipping. 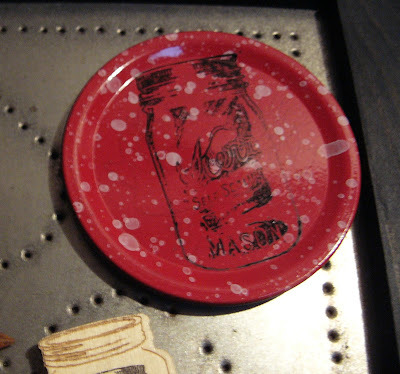 Hope ya'll give this cool Mason Jar Lid Magnet craft a try. I figured they will look cute in about any kitchen! I'm trying something new and linking up with Made by You Mondays to share in a linky linkup. Maggie from EyeballsbyDayCraftsbyNight asked me below, if these smear. With regular handling mine don't. But after she asked, I went back and took my thumb and kept rubbing into it and yes, they started to smooth out on the sharp lines. So, if you want to take this a step farther, you can finish them off with some type of sealer or spray clear coat even. I think I will give mine a coat to be safe. Thanks Maggie, for thinking of this! Hi Maggie! Thanks!! yes, we probably could. I am addicted to making magnets too. It's just too cool to get to stick things on your fridge like this! 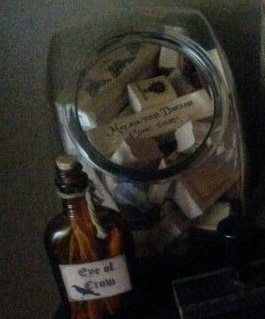 I have been handling them regularly now after they are dry and no they don't smear. But since you asked, I had to go check again and rub down into it, and yes, with pressure they will. But I guess if they smear easy, we could always put a coat of sealer on them! Thanks for wondering about that, cause I hadn't thought of it. PS. I tinkered with comment settings and still cannot figure out why you can't post with your Wordpress id. I was waiting for you to comment again to see if my last change helped, but I see it didn't. I will try again, lol. 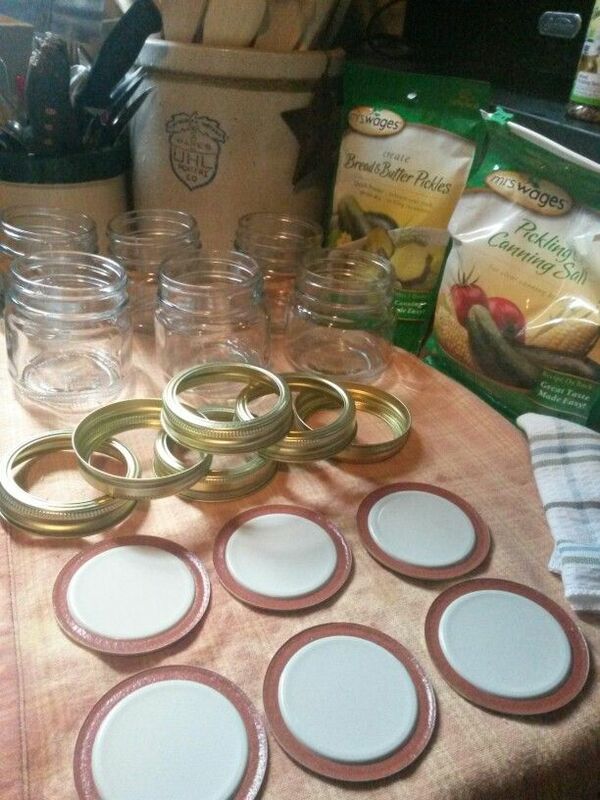 I can't wait to see your Mason Jar Lid Magnets too!